Project Hard Rock needs a lift. This means we have spent what feels like hundreds of hours reading the descriptions of lift kits from every manufacturer, on every web site, comparing parts, pieces, and specifications. So how do you make it through and choose the lift that’s right for you? Breathe very deeply, now let it out. That’s the most relaxing thing you will do in this process. This is not like buying shoes that you can try on, it’s a big investment into your vehicle and if it doesn’t “fit” what you want, you get to do it all over again. Decide what you want to do with the lift. Do you plan on tackling Moab or simply running some fire roads and trails? Do you really only want it to look cool at the local mall, or will it punished to within an inch of its capabilities and then over that limit every weekend? Don’t forget to also factor in accessories. Things like bumpers, tire carriers, winches etc… all add weight. Make sure the springs are designed to handle the additional weight. 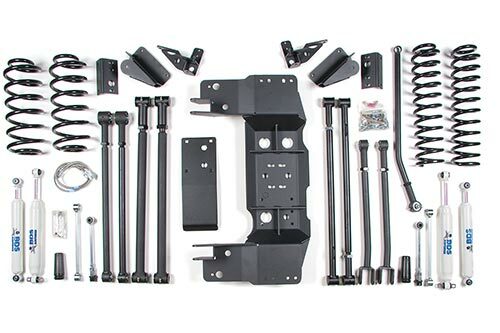 If you don’t have these items already expect the lift to not ride as smoothly as the springs will be too strong for just the stock Jeep. Decide how much you are willing to spend. Lift kits can be had for a couple hundred bucks and they can also cost over $5000. Not including installation, new wheels and tires, and alignment. So why didn’t we put the budget question first? Because if you shop on budget you will end up spending more over all. This happens to me almost every purchase where I compromise for price. Invariably I end up with the more expensive item after having purchased the less expensive option and in the end spending way more money. It is better to save your pennies and get it right the first time. We have spent a great deal of time looking at what is needed for Project Hard Rock. Keeping in mind the daily driver aspect but also knowing that it needs to follow an ADV bike off road means the system can’t be a major compromise in either area. Towing a trailer is nice but not a necessity so that becomes a very minor priority. 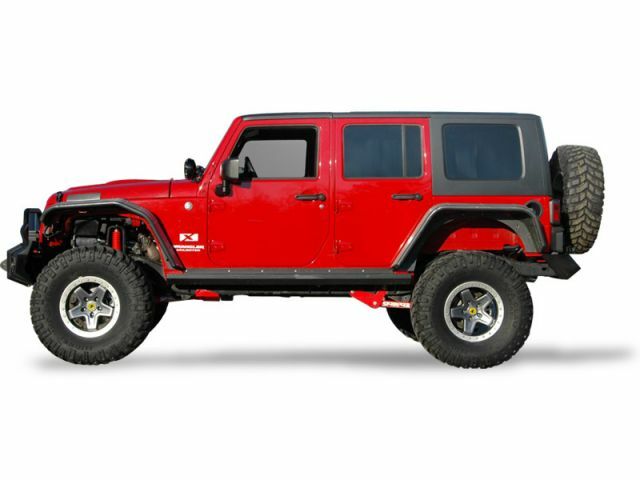 Standard lifts would allow for large enough tires, but compromise off road prowess. In some cases they also add some geometry issues that make on road driving less than ideal. The decision is now between a short arm lift and a long arm lift. The short arm would allow us to change the suspension and go back to stock much easier if needed. The long arm kit because of the changes make that virtually impossible but do offer a no compromise off road and improved on road performance that is second to none. Stay tuned as we talk with sponsors and vendors and see what we end up with on Project Hard Rock!